What more customers? Then you need to generate more leads. We take a look at some simple but effective lead generation ideas to help grow your business. Looking for new ways to market your business in 2019? It's a new year and time to generate new ideas to grow your business. When choosing lead generation techniques, the last thing you want to do is force a technique you've heard of and expect it to work for your business. Just because competitors are getting good results with a lead strategy doesn't mean it's right for your company. When it comes to lead generation, one size never fits all and implementing ideas that don't work can be a waste of time and resources. Truth be told, in the era of digital marketing, there are hundreds of lead generation ideas. And some of them are just gimmicks. Successful lead generation depends on knowing your target market. For your ideas to work, you need to know where your target audience spends their time, how they think, what they want and know their biggest challenges. 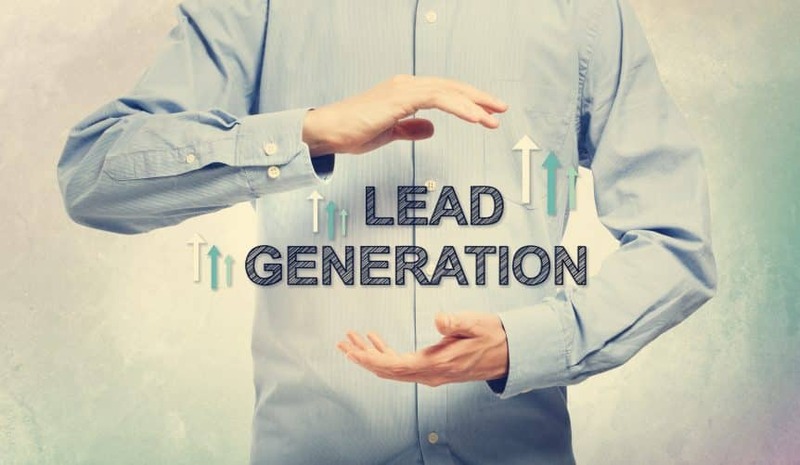 Once you've collected your target market data, here are some effective and proven lead generation ideas to choose from. Choose from among these successful lead generation ideas to make a difference in your bottom line. Every industry has podcasts where listeners go to learn information about industries and discover their issues, trends and news. Podcasts are great places to generate leads. And you'll find them in nearly every niche. Own a London tea company? There's a podcast. Manufacture jet-propelled engines? You'll discover an audience that listens to segments and downloads links, offers and information. Podcast creators always need advertisers, so it's a great opportunity to generate leads, expand your audience reach and find prospects to convert into paying customers. Podcasts are like customized radio stations. You'll know that your target audience will be listening. That's much better than purchasing a radio spot where a large portion of listeners won't be interested in what you sell. If you're new to selling on the internet, you might be unfamiliar with the search engine optimisation. It's often referred to as SEO. SEO improves your website's search ranking ability on search engines such as Google, Yahoo and Bing. It's fueled by keywords that users search for when looking for products and information. When web users type specific keywords into their internet browser, the search engine returns results with links to websites the web user can click on to find what they are looking for on your company website. If they link to your site and like what they find, you have an excellent opportunity to convert those visitors into leads which can turn into instant sales or sales in the future. There's a science to SEO that focuses on keyword choice, placement and other aspects for your site's web pages. You can load a free built-in SEO plugin such as Yoast to help you, learn SEO on your own, or hire an SEO specialist. Once you drive traffic to your website, it's important to have a professional website that engages your visitors. The appearance and functionality of your company website create an impression on the visitors that link to your website. That impression can be positive or negative depending on the visual quality and functionality of your website. If your website looks like a poorly created DIY website, that can drive visitors away. In addition, elements on the page need to be aligned and functional. Text should be legible. Navigation must work correctly. This means when someone clicks on a link, they are directed to the appropriate page. Whether you hire a professional to build your company website or use a WordPress template, you need to choose a responsive design. Responsive means that your website will look good on a variety of different devices. So whether a visitor is viewing your website from a smartphone, tablet, laptop or a desktop computer, everything will be aligned properly on the page. If you don't use a responsive design template, images and words can get cut off the page. Your site won't be user-friendly which can be frustrating to the visitor checking out your products and services. Are you an expert in your industry? Then your expertise is priceless! Why not offer a free whitepaper download detailing your expertise to build leads. White papers inform prospects on specialized topics. You provide them with information. In return, you'll acquire their contact information. So it's a win-win for all. Providing white paper downloads in exchange for contact email addresses makes potential customers comfortable with giving their contact info so they can receive valuable information. Whitepapers are also an effective tool to get contacts to promote your business for you as contacts share the link to your website with their colleagues. Post your whitepaper offers on social media. Or create a video on YouTube with a link to your whitepaper in a link beneath your videos. After you acquire email addresses from leads interested in your whitepaper, eBook or report, send them your company newsletter. Newsletters provide your company with great opportunities to send content about industry topics, downloads to other whitepapers and reports along with additional company offers. Nurture your leads by inviting them to a seminar on a topic that interests them. Include images of your products and services in your newsletter as well as links to your best blog posts. With a newsletter, you can send important updates right to their inbox. You already have them interested, so use the opportunity to promote your offers and content. It's important to send out your newsletters consistently. Think of a content plan for your newsletters and don't forget to write new content regularly. Consistent content will also help improve your search rankings with Google. Google algorithms love content and blog posts that are updated frequently. Here are other tips to make Google love your business website. Now you know five simple, yet effective lead generation ideas that work. They're not gimmicks and are proven to convert leads into customers and increase your bottom line. Looking for more ways to grow your business. Check out this post with sure-fire tips to increase your customer base. Or learn how to get customers to write reviews for your company.